Weather is an inseparable part of our lives. It has a subtle but undeniable effect on everything we do. It says a lot that when you catch up with a distant relative or friend, nine times out of ten the conversation will steer towards discussions of local weather. For the flying public, this effect is magnified substantially. Every pilot (drone or otherwise) has countless tales of that weekend where some free time was finally saved up but rain, wind or cold prevented them from pursuing their passion. For this reason, knowing how to plan around weather becomes of paramount importance for pilots. Fortunately, we live in a phenomenal age of data availability and getting this information is at your fingertips. 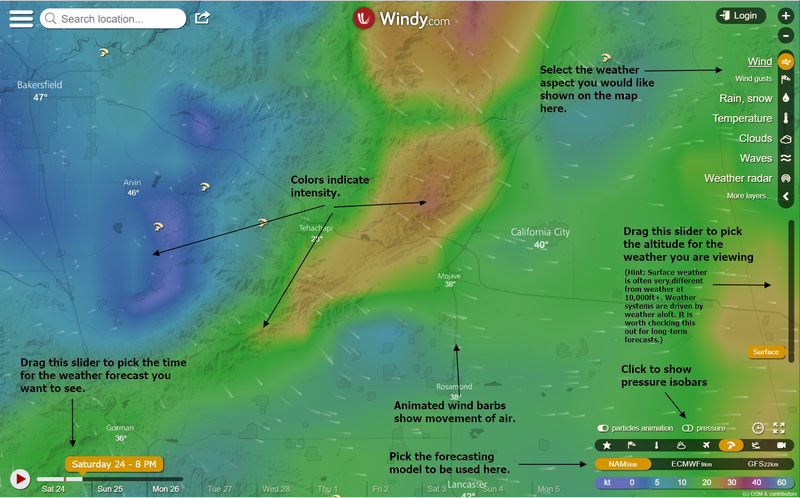 In this article, I’ll briefly go over how weather forecasting works and teach you how to use my favorite free forecasting tool: Windy. Most weather forecasts made today come from numeric weather prediction models. These models are computed by supercomputers which take macroscopic data such as the location and intensity of pressure systems and the jet stream and combine it with regional data such as stratified temperature and humidity, local terrain and land albedo. This computation generates expectations for global and regional weather patterns. While the chaotic nature of weather equations makes forecasting past 14 days unreliable, the prediction potential of these systems for the next 5 days is staggering — especially for the environmental factors that pilots care about. These numeric models are computed by government agencies and are paid for by the taxpayers (us). As such, the data is made freely available on the internet. This has given rise to hundreds of weather forecasting websites. The one you currently use is likely getting its data from one of these numeric forecasting programs. There are many forecast models available to the public. Most of the models has an explicit purpose. For example, the Global Forecast System (GFS) was designed around long-term regional forecasts. Using this model will get you a pretty good idea of what weather patterns will progress through your area in the next 14 days. On the other hand, the High-Resolution Rapid Refresh (HRRR) model was designed to offer extremely accurate short-term predictions. 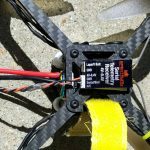 This model will give you a prediction of the exact wind velocity inside of that small valley where you like to fly your quadcopter at 4:30PM. The catch is that it only makes predictions up to 2 days out. 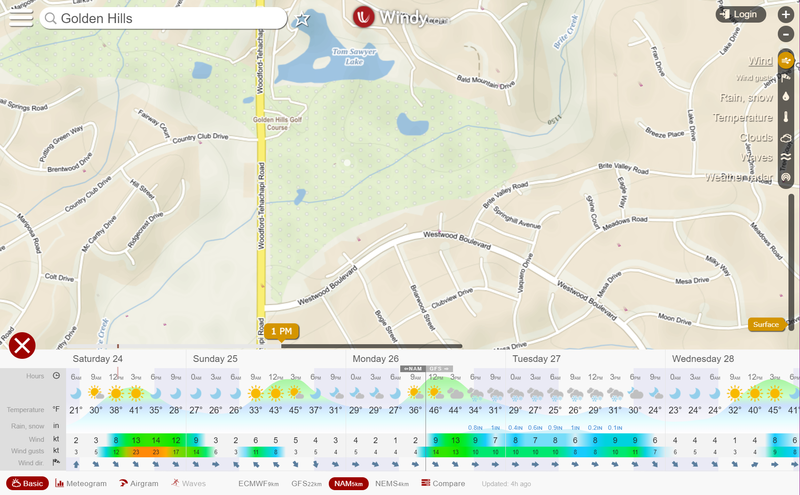 Granularity – Models break the world up into tiles and predict the weather on each tile. 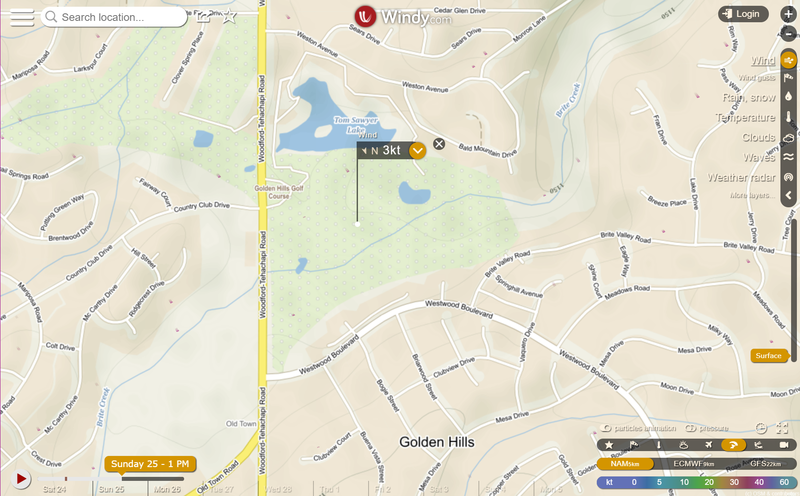 The smaller the tile, the more accurate the weather for your particular location. This is usually expressed in kilometers (km). Coverage – Most models cover the US. Pilots abroad may need to use less-accurate global models or find a website that offers predictions with local models. 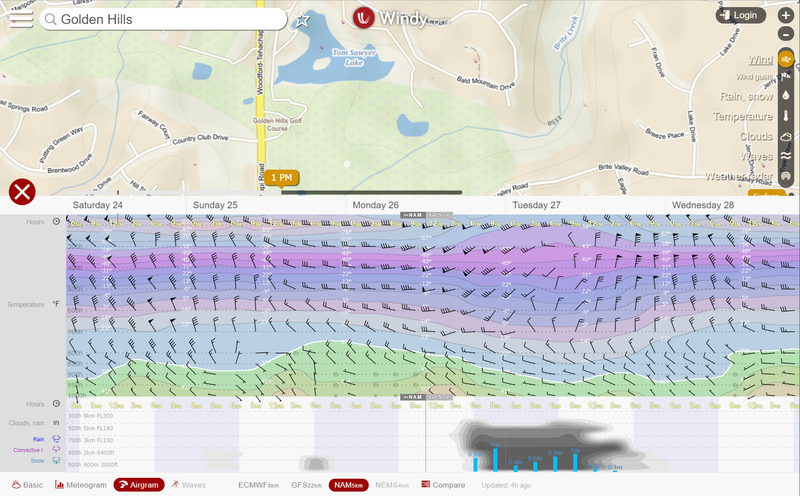 Time Frame – If you’re planning for your flights tomorrow, almost every model will have you covered. If you want to know if you can fly in two weeks, your options will be more restricted. Enter Windy. 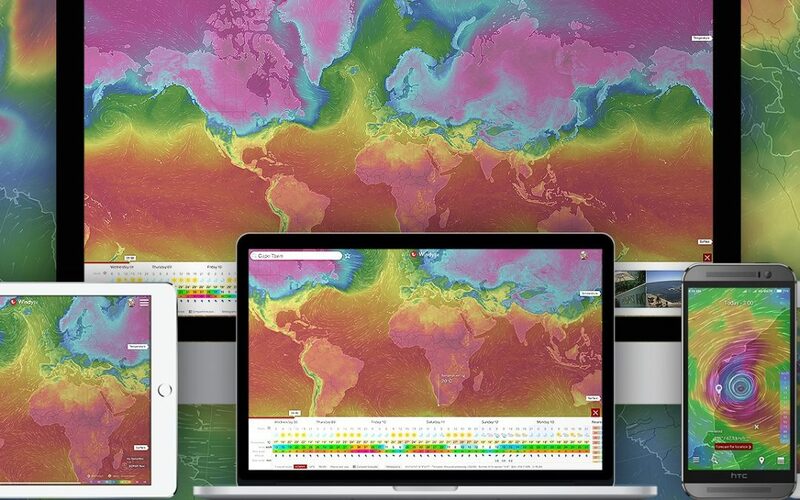 This is a free online tool that offers superb visualization of global weather patterns. If you haven’t seen this site before, prepare to be blown away. It is available as not only a website, but also a mobile app — it just so happens to be one of my favorite apps. You can download the Android app here and the iOS app here. Lets dig into this app in more details. This screen alone is incredibly useful for figuring out where the best places to fly are. Make sure to play around with the available layers – they include everything you could possibly want like temperature, cloud cover, rain / snow, convective (thunderstorm activity), etc. Bam! — a full weather forecast for that one point on the map! Including wind, gusts, preciptation and temperature. Heck, it’s even telling you when the sun sets if you don’t already know. This chart is similar to the last one: it shows a forecast for the point you clicked on. However, instead of telling you the temperature and conditions on the ground, it is showing you atmospheric conditions at and above that point. This includes temperature lapse rate and winds aloft. It also shows predictions for the altitude of clouds and precipitation. 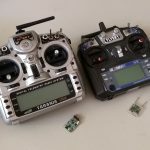 While I can’t say this is terribly useful for drone pilots, anyone who flies other RC aircraft (notably gliders), can learn a lot from this screen.